The Bangkok Corrections Museum in Maha Chai Road preserves gruesome aspects of Thai prison history and the brutal prison life before reforms were made to the penal system. It's located on the site of a former Bangkok maximum security prison built in 1890, during the reign of King Chulalongkorn (King Rama V) after a study visit to the prisons in Singapore. 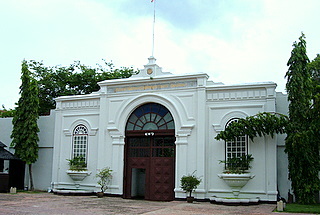 The prison museum was first established in 1939, in another prison, the Bang Kwang Central Prison, as a training center for corrections officers. Located in Nonthaburi just outside Bangkok, the Bang Kwang Central Prison has earned the dubious sobriquet, "Bangkok Hilton". Please see map to the museum. 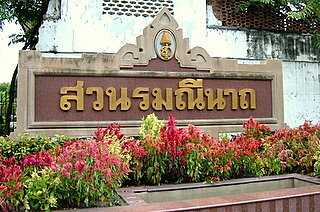 In 1987, the Thai government decided to demolish the prison in Maha Chai Road. 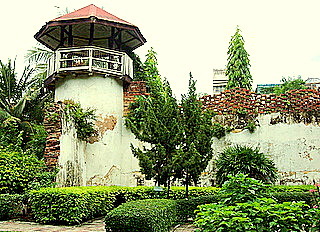 Three blocks, a cell block, a side of the prison wall and two watchtowers were preserved to establish the Bangkok Corrections Museum. The rest of the prison compound was converted to a public park. The park was named Romanni Nart Park and officially opened on 7 August 1999 by His Royal Highness Crown Prince Maha Vajiralongkorn. The old penal system was based on retribution through severe punishment and suffering. This is painfully apparent as one goes through the exhibits in the museum. The ground floor of Block 1 in the Bangkok Corrections Museum where our tour starts, features photographs of the old prison compound and the process of demolition. There's a scaled model of the old prison compound then and the park and museum now, a stark contrast. The exhibits upstairs are grisly; life-size waxed figures in execution scenes. Previously, condemned prisoners were flogged 90 times before being beheaded by sword. Three executioners are used to ensure that the job gets done. King Prajadhipok (King Rama VII) abolished this practice in 1934. The rifle replaced the sword. The condemned prisoner is tied behind a screen with his back to the screen. The executioner fires a pre-aligned rifle mounted on a tripod from the other side of the screen. Photographs display the gory results of both forms of execution. Executions in Thailand were changed to lethal injection in October 2003. Blocks 2 & 3 of the Bangkok Corrections Museum are a pleasant reprieve from the mock execution chambers. These blocks exhibit furniture and handicraft, of a high quality, made by prisoners from all over the Thailand. The items are for sale. The last stop in the Bangkok Corrections Museum is through the gate in the old prison wall fronting Rommani Nart Park. Block 9 is a preserved two-story cellblock in the old prison compound, not a place for the fainted-hearted. Cells in this block exhibit the execution frame to which the condemned prisoner is tied, crockery for the last meal, gambling and drugs paraphernalia used by prisoners. A rattan ball pierced with nails into which the prisoner is trussed. An elephant is used to kick the rattan ball around! A coffin-like box, with a perforated lid, in which a prisoner is bound and left to bake in the sun with the lid closed. In 1908, as part of penal reforms, King Chulalongkorn (King Rama V) abolished all these barbarous tortures. The pleasant Rommani Nart Park today belies the horrors of the prison it replaced. Old men sit and watch the day go by as teenagers engage in robust ball games. The torture and sufferings in past prison life seemed so distant, preserved only in the Bangkok Corrections Museum. 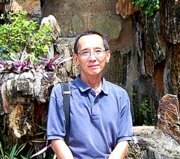 In 2005, some social scientists in Thailand have commented that the prisons are getting too comfortable to serve as deterrence! Has the pendulum swung the other way? 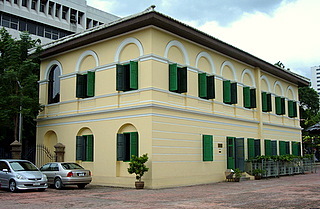 The museum is located at the Ruan Cham (prison) junction where Luang Road meets Maha Chai Road. It's easier to take a taxi there. The taxi drivers call the place "kook kao" or old prison. Blocks 1 –3 are located near the main road. Part of the old prison wall and one of the watchtowers can be seen from the road. The curator's office is in Block 1. Start your tour there. You have to remove your footwear in Blocks 1 – 3. Rommani Nart Park is just behind the museum. The main entrance to the park is through a gate in the old prison wall. Block 9 the old cell block is within the park. 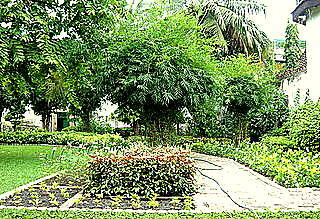 It's a relatively small park of about 4 hectares or 10 acres, bounded by Maha Chai Road and Siri Phong Road, the old prison compound. The museum is open from Mondays to Fridays from 09:30 am – 04:00 pm. It's closed on Saturdays, Sundays and public holidays. Admission is free. For other interesting Bangkok Museums.